Animal Liberation Victoria yesterday received a legal letter August 29 from lawyers acting for Otway Pork’s parent company Pastoral Pork, two days after our website Free Range Fraud went live. They have demanded we remove the website and post an unreserved apology or they will proceed with legal action. 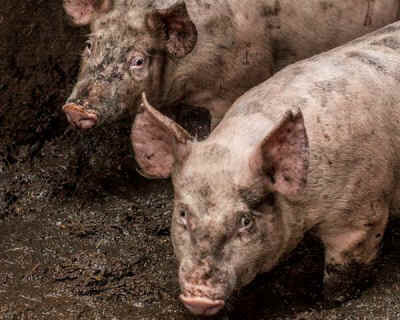 Shoulder deep in faeces, existence for these pigs is a living hell. Pigs are sensitive, intelligent animals who will naturally build a nest to sleep in, wallow in clean mud and dig in fresh soil. But the pigs on these RSPCA Approved properties are unable to do any of these instinctive behaviours. 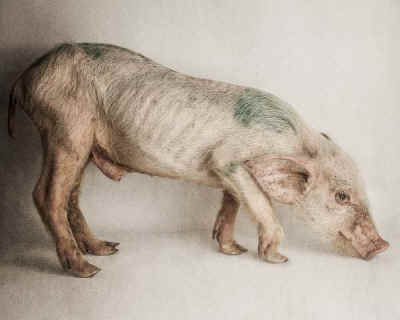 Instead they are condemned to live in their dank, filthy prisons till the day they are sent to their slaughter.